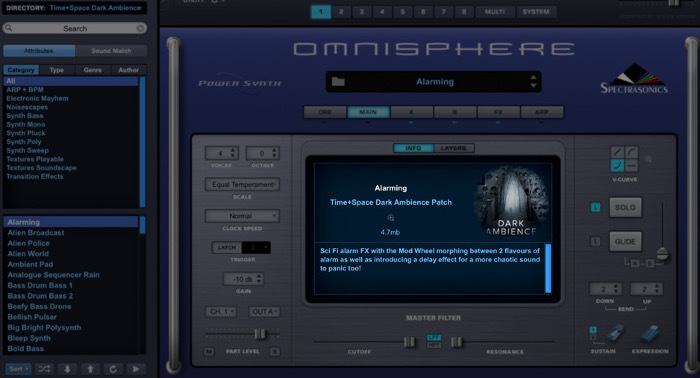 The following guide will help you install your Omnisphere 2 Expansion Packs. Either checkout the Quick Installation Guide to get you going, or the Full Installation Guide, if you need some more details. Step 5: Follow the on screen prompts to install your new expansion pack. 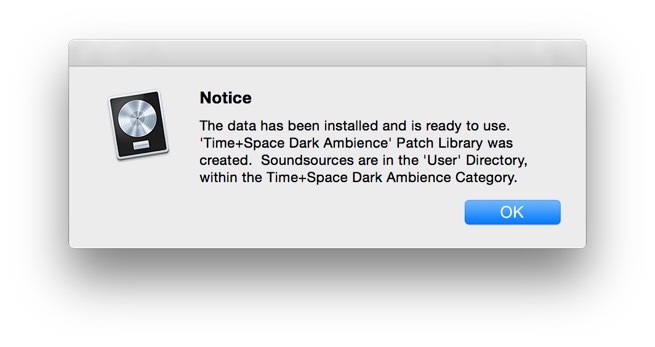 Note: We are using Dark Ambience Patches for Omnisphere 2 as an example for this guide. 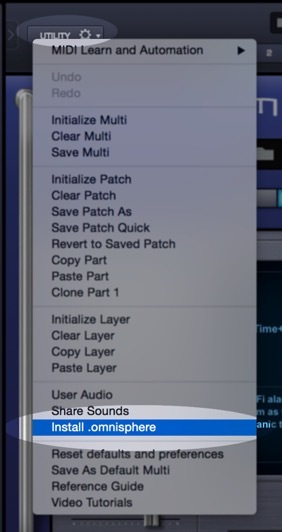 Step 1: Within your desired music host / DAW launch Omnisphere 2 and go to the main interface. Step 2: Here you will need to locate the Utility Cog icon which is just off to the top-left from the middle of the screen. 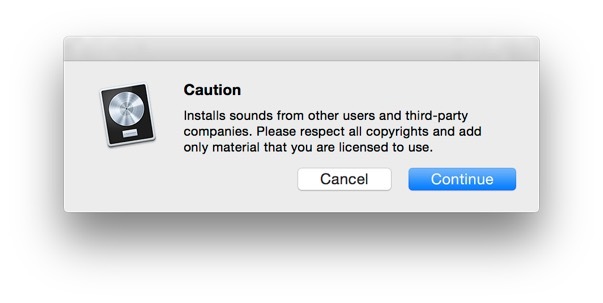 Step 4: You will then be prompted with an alert box and then asked to locate your install file. Time+Space Dark Ambience.omnisphere and press Open. Step 6: If everything has been selected correctly, you should be prompted once again, advising you on the included contents of your selected expansion pack. Click OK to start the install. 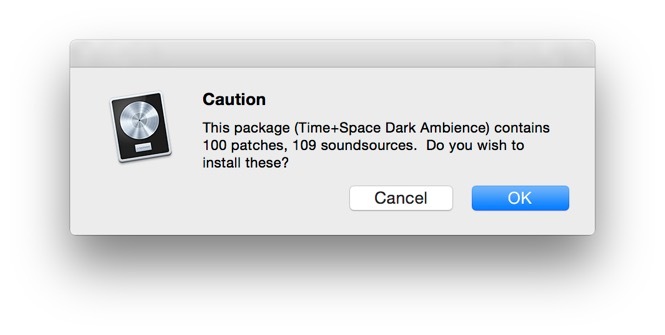 Note: the expansion packs for Omnisphere 2 also contain audio Soundsource files, these can get fairly large in size and take up to a few minutes to install. You will be prompted again once installation has completed. 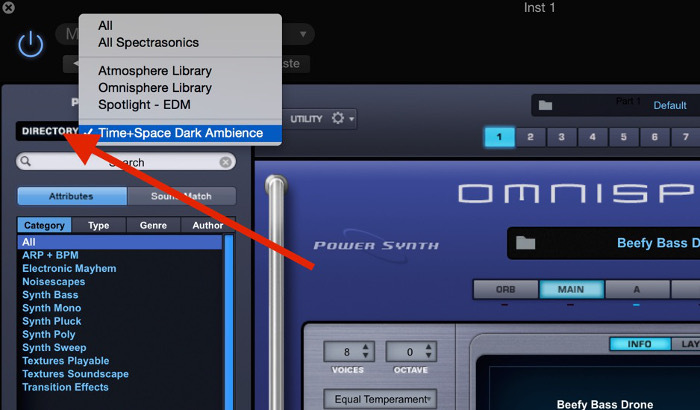 Once you have installed your expansion pack, you can locate the files at anytime within Omnisphere 2, by selecting the Directory box in the top-left and selecting Time+Space Dark Ambience. 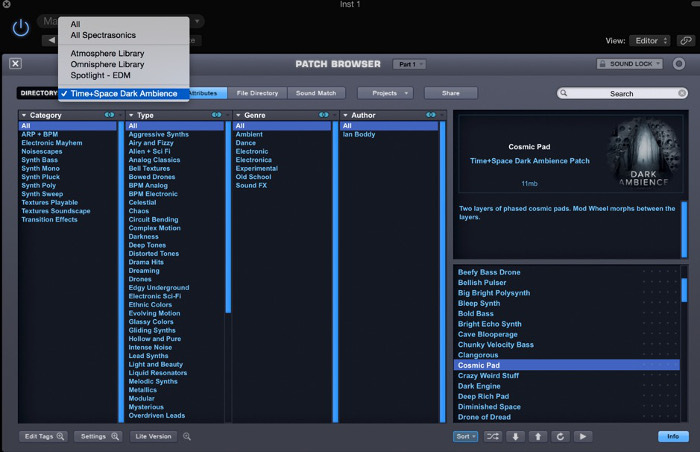 Alternatively, you can open the Full Patch Browser, by selecting the Magnify Glass in the top-left and use the built-in Category system to navigate through the different patches. Each patch in the Time+Space Dark Ambience pack includes a brief description to cover what has been used in the creation, as well as highlighting what can be done to manipulate the patch via the Mod Wheel.